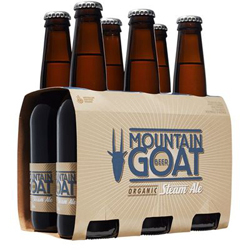 The Steam is a crisp, certified organic ale. With a slap of wheat malt in the grist make-up and ferment it cool. Cascade and Citra hops gives it a fresh, zippy finish. Great as the weather warms up. We tried this beer when we visited Australia in January and this is the only place we can find it and we can't get enough of it!!!! First encountered this beer whilst on holiday in Melbourne! It has a smooth, crisp taste that is suitable for a wife variety of pallets! I would highly recommend it to be drunk as a beer on its own or with a wide ion of bbq food!